Tami Simon: You’re listening to Insights at the Edge. Today, my guest is don Oscar Miro-Quesada. Don Oscar Miro-Quesada is a shamanic healer and teacher from Peru, and [the] originator of the Pachakuti Mesa tradition of cross-cultural shamanism. He dedicates his life to the global revitalization of shamanic awareness as a means of restoring sacred trust between humankind and the natural world. 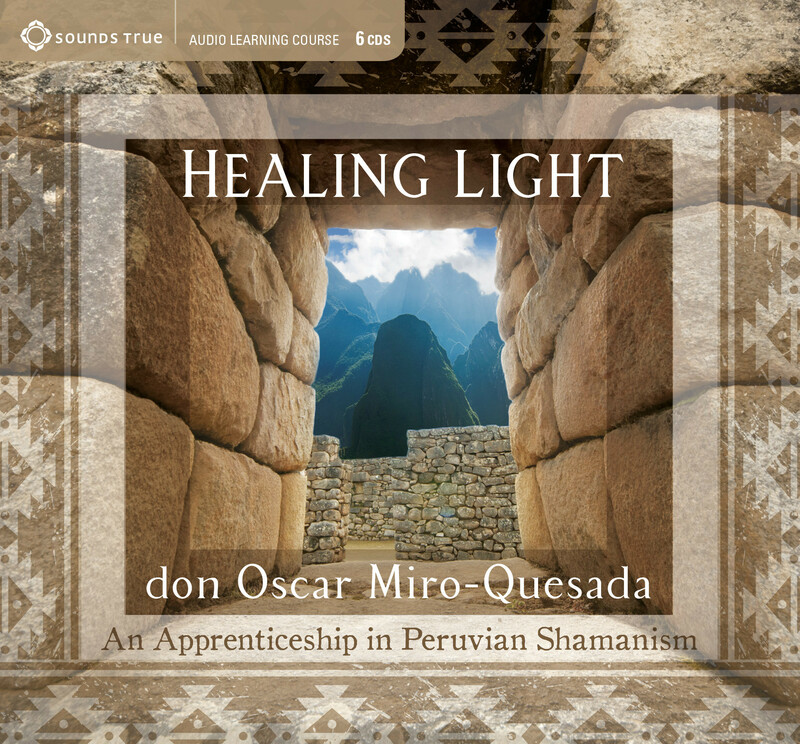 With Sounds True, don Oscar Miro-Quesada has created a new audio program called Healing Light: An Apprenticeship in Peruvian Shamanism, where he shares the principles and methods of Peruvian curanderismo, guided shamanic journeys of transformation and healing, empowering rituals, and a treasury of other insights—many shared here with the Western audience for the first time. As we set out on the voyage of our conversation, don Oscar, I wonder if you’d be willing to begin with a prayer or a blessing of some kind for the dialogue we’re about to have—something that would bring in all of our listeners. don Oscar Miro-Quesada: Gladly, my good sister. Loosely translated from the language of my ancestors, known as runa simi or Quechua, this prayerful invocation of alignment is as such: Praises and victory to the sacred shaft of light from the heavens. Welcome, great power of the universe. Great originating mystery—Creator, Creatrix—make yourself in my heart, see yourself in my life. With life, with love, and with light did we come here. We are people born of sun and moon, all children of Mother Earth. Please bring the blossoming of the flower of the heart to humankind. So mote it be. TS: Thank you. I’ve noticed, don Oscar, that you’re tremendously gifted at invocations and ceremonies. I’m curious to know more what’s happening inside you. What are you aligning with when you’re performing an invocation or ceremony? dOMQ: It’s an experience of communion with the great originating mystery that I have learned to honor with reverence in all of my doings. So, to put what I do into words is a challenge. Yet, best defined, I could express it as a sanctification of the gratitude that I experience for the gift of life. In my body, I feel a letting-go, a softening, a disappearing. The prayer of my ancestors comes speaking to me, whispering to me. All I do is move my lips and offer it forward in loving service to the world. TS: Can you tell us more about the Quechua language? dOMQ: Well, of course. Quechua—runa simi—is an onomatopoeic language. In other words, its words mimic the sounds of the natural world. It is not a descriptive language at all. There’s no nouns. It’s a verb-based language. So, every word is an action. So, it’s a vital, living, pulsing expression of one’s solidarity with the universe—with Mama Pacha, with Mother Nature. There’s two types of runa simi—qhapaq simi and runa simi. Qhapaq simi is the high ceremonial language, which I used in the prayer that I just offered. Then, runa simi is a language that has to do with Middle World—kay pacha—life: agricultural duties, family-rearing approaches, and the development of good relationships among our two-leggeds. They both have their place. One is not favored over the other, because the sacred and the profane—or the divine and secular—are experiences one and the same when it comes to the use of language or word by the people of the Andes. Therefore, it’s a language that truly catalyzes, and I—personally, from my own experience—deeply feel awakens a bonding with the soul-infused reality with a pulsing, vibrant wisdom in all things. TS: In both versions of the language—both applications—there are no nouns? It’s so interesting. I start thinking about how [I would] even begin speaking in English without nouns. dOMQ: Well, yes. If you use the words—let’s say, the word apu, which refers to a mountain deity or a venerated pilgrimage destination in the glacial highlands of Peru. [It] describes that that is a sacred mountain. It’ll just remain a descriptive word. Yet, we never use the word "apu" by itself. It’s always in combination with the role of the apu in being the sustainer of the well-being of the human community that lives at its skirt—at its base. Therefore, the language is never used in isolated experience. It has a participatory mystique. I trust this makes sense to our verbal, linear audience. TS: Yes. OK, don Oscar. You’re the originator of a tradition that you call "the Pachakuti Mesa Tradition of Cross-Cultural Shamanism." To begin our conversation here, I would love if you could introduce our listeners to that tradition. dOMQ: "Pachakuti." In Quechua, it means pacha—world, place, space, realm, Earth, [and] ultimately, consciousness. A soul-infused bardo much like in the notion of the Tibetan realms of experience. So, "pacha"—it’s important never to literalize that word or reduce it to just this third-dimensional Earth. Yet, to understand that our experience of any plane of existence is based on the level of awareness that we have cultivated in our yearning for a unitary experience of what it means to be human. So, pacha is a realm of consciousness that—combined with an understanding that the only constant in Earth-life here in the kay pacha, the Middle World, is change [and] is transformation—joined with the suffix kuti, which means, "To change, to transform, to reverse, to turn on its head," basically, means "world reversal or cosmic transformation." So, it is a plane of human experience—a world that is both an inner and outer honoring of the miracle that is life from a point of view of always remaining open to the shape-shifting, luminal aspect of life. So, Pachakuti Mesa is a sacred transformation that is managed and directed upon an altar ground configured by various power objects and sacred items that carry within them a story, a life, a sentience. Through the placement and certain specific patterning, [this altar] is able to open up healing virtues—healing potentialities—within the life of both the healee and the healer in sacred relationship with each other. So, Pachakuti Mesa is a vehicle for healing transformation in the world. I chose that term because of its intrinsic significance in the life-ways of my Peruvian ancestors—especially that of don Celso Rojas Palomino, my primary mentor from the northern coastal area of Peru, [specifically] a town called Salas in Chiclayo, where I learned my wauchuma or kamasqa curanderismo arts. [This was in addition to] my mentor don Benito Corihuaman Vargas from the southeastern highland region of Peru near Cusco—the village of Wasao—where he offered me training in the altomisayoq, or the highland shaman priesthood, Earth-honoring lineage involving despacho, apacheta-building, and things of that nature. So, the Pachakuti Mesa Tradition of Cross-Cultural Shamanism is a merging of both of these currents of wisdom and healing practice that I was exposed to for many, many moons in my country together with—it’s very inclusive and very adaptive and relevant historically to discoveries in science. The great artistic masterpieces of the world and the various wisdom traditions from the four corners have also contributed [and] can be integrated in its cosmology in a way that we have many languages in which the rituals of the mesa can be explained as well as transmitted to people from diverse ideological persuasions, walks of life, and cultural backgrounds. That is why I term it "cross-cultural shamanism." It contains a language that is universal. TS: So, the altar—or the mesa—is very, very central. I’m curious: Even as we’re talking now, is there an altar in the room where you are? We’re talking through an audio line, so I can’t see where you are. But, are you working with an altar even as we speak? dOMQ: My entire home is a sanctuary, Tami. I know—given your sacred Earth walk—your own home must be as well. So, I would say that every room I’m in—and right now I’m in our home office—it’s a sanctuary. It’s an altar. It’s what we call a banco, or a platform in which the ceremonial arts of this tradition are amply and visibly expressed in images on the walls, in sacred ceremonial items and small altar spaces—individual altar spaces in the cardinal directions. They’re all drawing from our altar mayor, which is our home medicine lodge in another part of the house. To my northwest—which is where the true cosmic control panel lies. That’s the main temple is. And yet, every place in the house is consciously linked energetically to that fountain. TS: So, explain to me what the main principles are, if you will, that go into altar-making for you—and in this sense, making of your home [and] your office. What are the main ideas that are informing that? dOMQ: Creating—or co-creating, better said—an open, receptive, healing space to make visible that which ordinarily remains invisible to our five-sensorial, human experience. To ensure—through the aesthetic power of a symmetrically arranged, mandala-like medicine ground—the witness to it will feel a stirring [and] an evolutionary impulse within their own heart, and be led to want to deepen their understanding of that quickening. Therefore, the ceremonies that are the unfolding—really, of the perennial wisdom embodied in the way that the altar is ritually configured—offer an intuitive restructuring of our human mind. Given that it is the outer reflection of an inner map, it is the geography of the human spirit and the rest of the world. The broken-off parts of self in the world are able to be brought together in the symmetry and the mandala-like patterning that is witnessed within the altar ground. So, in a sense, it’s a path that honors the balance of power through finding the middle ground. TS: Let’s say, don Oscar, that a listener is brand-new to altar-making—to altar-building—but they would like to do an experiment and get started. Where would they start? How could they start? dOMQ: The first thing is to consider that soul is a priori. Whatever your notion of "soul"—nuna, anima, whatever you want to call it—open up to the possibility of it having primacy in the world. Therefore, when you walk outdoors and you see a butterfly on a blade of grass, recognize its sentience—its awareness, its living presence—that is just as important and to be revered in an equal way that you would any human teacher you may have. So, first and foremost, an appreciation of the primacy of soul as universal consciousness. Following that, then honoring that experience of soul by beautifying the world around you. Here is where the Pachakuti Mesa altar ground comes in. It involves a consecrating of the Earth with whatever ritual foods you may have—cornmeal, tobacco, pollen, libation, coca leaves, et cetera—then placing a ground cloth upon that, squaring the circle. Then, upon that ground cloth, [you pattern] symmetrically the five main directions: the South, the West, the North, the East, and the Center. Yet, not like the traditional medicine wheel of Turtle Island—of North America—but more like a nautilus-shell spiral beginning from the South and spiraling into the center. So, we choose a stone or crystal to represent the South, the place of body [and] physicality; a shell for the West, to represent the place of heart or the emotional body; a feather or feathers for the North, to represent the realm of spirit; a candle in the East to represent a realm of mind; and, one’s most sacrosanct, treasured shamanic artifact or ceremonial item to represent the Center, which is the soul. So, [going] from South in a clockwise fashion as you work the powers of the mesa, you move from earth to water to air to fire to ether or quintessence, allowing those four dimensional effluences to be ritually activated and directed through these anchoring objects and directional pieces throughout the other, secondary artes—what we call them. [This is] one missing piece that you can incorporate within that altar space as well. So, if you can let go of linear thinking for a moment and dream into an image—a vision—of this exquisitely laid out nautilus shell—a Fibonacci spiral that pulsates with golden light upon a ground that has been consecrated. Open that vision even wider to an understanding that there is a celestial superior realm—a heavenly sky world—and an interior, shadowy, deeper inner world that coalesces the above and the below into the within in this middle world. The altar that you are in front of is an extension of your own inner cosmology—of your own inner universe. That is a very powerful tool and ally to have, for the more beautiful the expression of your inner light in the outer world, evolution is at hand. TS: Now, it seems that in the Pachakuti Mesa tradition that having this physical expression—the physical altar—is really important. It’s some kind of amplifier, if you will. I’m curious if you could explain that more—why the physical altar itself is so important. dOMQ: In the same manner that physical temples or ceremonial grounds—medicine wheels—the world over have been important as strange attractors—as magnetic sources of attraction, of reverence, [and] of honoring the sanctity and beauty of Earth—the Pachakuti Mesa fulfills the same function. Yet, we do understand in the kamasqa wisdom tradition that everything outside of us is a tool [or] a stepping stone toward—ultimately—understanding that we are the ultimate ground of being. Whatever we choose to express as part of that understanding, it behooves us that it be something that mimics it—that mirrors it—in the manner that is meaningful and significant to ourselves and other people that we share our inner life with. So, really, the reasons for the "reliance" on physical objects or artes is because, over time, their repeated use—their participation in ancestral ceremonial enactments—aligns with a morphic field [or] a morphogenetic template that draws in the powers, forces, virtues, and wisdoms of the ancestral peoples that first woke up and said, "If we create a mirror on Earth that reflects the order and pattern of the divinity in the heavens, then our lives will be heaven on Earth." So, therefore, the continued practice with the foundational pieces that I described before and the prescribed order of our rituals for nurturing the Mother, for feeding the unseen world, and for accepting benevolent transformational change in our human communities becomes a reflection—becomes a fulfillment of the evolutionary impetus within the dance of creation itself. I feel that there’s value to using these not as permanent fixtures in one’s life, [but] as borrowed tools, borrowed friends that will make our life happier. TS: I think many people have the experience of setting up an altar at one point or another. Not the kind of altar you’ve described here, which I think requires perhaps a level of training you offer in this new series with Sounds True called Healing Light. You go into great detail about how to set up the altar, consecrate it, and work with it. But, I think many people have the experience of setting up some kind of altar or another, and then abandoning it, if you will. They forget about it. A couple months go by. "Oh, yes. There’s the altar I set up." What happens when we set up an altar and then we forget about it? dOMQ: Two things can happen. One: the same thing that happens when you adopt a pet and, for whatever reason, you need to go on a long vacation or hiatus from caretaking that pet. Instead of leaving it alone, you find someone to take over your family duties. What happens to that pet is the same thing that would happen to those altar pieces if you pass them on to somebody who is unprepared and not trained in the caretaking of your Pachakuti mesa. Yet, the other thing is that the sentience within those power objects itself is just as awake as your own most advanced perception of the sacred world—of sacred dimensions. So, they in themselves—just like in a pre-Columbian artifact that has been buried under cultural silt and physical silt for millennia all of a sudden is rediscovered and restored to its beauty in a museum and, if fortunate enough, finds its way to the hands of a kamasqero [or] curandero or curandera in the use of healing rituals—[are] never lost. It’s what we call cuenta. It’s "count." It’s history. It’s story. It’s awareness. So, it can be with a very simple offering of aromatic waters, incenses, rattling, drumming, singing to it, evoking, invoking, and decreeing [that] its healing virtues come back to life in fullness. So, nothing is ever lost. It’s not like somebody who has created an altar [as] a simple meditation ground within a figure of the Buddha or other avatar, and has abandoned their practice—and the altar remains dusty in the corner—it does not mean that that’s going to impact the life of that person in a way that makes it unhealthy. That said, Tami, at times—especially if you are a practitioner of the Pachakuti Mesa and have a medicine ground—you are beholden to always feed it, to always speak to it, to deepen your intimacy with it. If not, it can start to eat your own—we call this [indecipherable]. It can start to take your own life force and start to eat it just to sustain itself—the mesa as a whole. That results in people feeling listless and fatigued and off-balance and off-kilter. The minute they start feeding the altar or going outdoors [to offer] some tobacco or sweet grass to the Earth, that life force starts to be restored. So, there’s an ayni—a sacred reciprocity, a relationship of balanced dualism that needs to be maintained by the practitioners of this art. TS: Now, don Oscar, I know that you’re extensively trained in Western psychology as well as shamanic healing, and that you’ve actually taught transpersonal psychology at the university level. I’d love to know how you see these two approaches—the approaches of shamanic work and the approach of transpersonal psychology—how you see them overlapping, differing, helping each other, informing each other. It’s a big question. dOMQ: Yes, and it’s a significant question that would require more time than our interview allows, Tami. Yet, as I feel into what you’re asking . . . contemporary psychotherapy has unfortunately—at least in most cases—forgotten that it is about soul and not about fixing things. The difference between that and a shamanic approach to being a curandero—which, as a matter of fact, derives from what the Christian priests used to be called in terms of being caretakers of the soul or "the curate." Curar, "to heal" in Spanish, was the word assigned to the cura or priest that would go from village to village healing people of spiritual ills—and of physical conditions. So, to heal in the sense of a soul-based therapeutic approach such as shamanism is to, number one, honor that whatever that person is experiencing [and] no matter how distraught, distressing, and painful it may be, [it] has a very important purpose in their life. But underneath the experience of fragmentation and of breakdown, there’s a breakthrough to another level—a rite of passage occurring, an initiation. Ultimately, the recognition of one’s inherent wholeness and enoughness as a human being will show itself because that’s what the soul wants. The soul wants to be recognized as whole, not fragmented. So, just that understanding alone differentiates shamanic healing from modern psychotherapy, which is focused on illuminating what’s not going right and trying to fix it through reframing the cognitive makeup of the person—their way of thinking. It’s not a therapy based on anima, but on psyche—as psychology, not as soul. So, we’ve lost that. Now, my main therapist as a psychotherapist has been to address the transpersonal or psycho-spiritual dimensions of people. Doing so allowed me the opportunity to introduce people to a more shamanic befriending of their "illness"—of their dis-ease—[and] to not see what they were experiencing as something that we have to rush through to fix—rather than as a daemon [or] an inspiration that, painstakingly, can be befriended and internalized as light rather than darkness. That’s shamanism in a nutshell. TS: Do you think there are certain conditions that might best be addressed through a psychological approach and other conditions that would best be addressed by a shamanic approach? dOMQ: Once again, the question itself creates a dichotomy. I’d answer by saying this: In ancient literature, there’s much reference to the distinction between soul and spirit. This is an important consideration. In general terms—based on my understanding—"spirit" as seen on focused on transcending the limits of our personal, time-bound, concrete life. It’s fascinated by the future and wants to know the meaning of everything. It likes to stretch and sometimes break down altogether the laws of nature through technology or prayer. It’s associated with idealism, ambition, and a necessarily rewarding and inspiring approach to living. The soul, on the other side, is very comfortable with mystery [and] the unknown. It’s in the spirit we try to transcend our humanity. With soul, we try to enter our humanity fully and realize it completely. So, when you ask about if there are psychological approaches that I would favor over a shamanic approach to ameliorate suffering, anxiety, or distress in the sufferer, I would say if only absolutely necessary [that] that distress—that psychic pain—I’d attenuate through psycho-pharmaceutical means and quickly introduce the person—the sufferer—into a community of people who have had transpersonal crises [or] spiritual emergencies. Even those that have been labeled as dissociative psychotic episodes—with time and with community support—have been able to transform and shape-shift that breakdown in to a breakthrough that no longer had the demons and dragons speaking to them inside of their head. But, they were able to gain mastery over those same powers and forces by externalizing them within sacred ceremonial acts in their life. So, temporarily, as we do in curanderismo as well—because people come to our healing sessions in northern coastal curanderismo with all sorts of disorders of a psychological as well as a physical nature. We have a very distinct understanding that there are two types of illnesses: the illnesses of God and the illnesses of harm. So, even people who come with systemic, debilitating disorders such as cancer, diabetes, multiple sclerosis, lupus, and the like—it still involves an entering into dialogue with Creator/Creatrix, ascertaining through one’s own self the purpose of that condition in one’s life—even though it comes from a source that is beyond one’s own doing. Then those elements of harm—which contains all of the conditions known to modern psychological medicine, such as depression, obsessive-compulsive disorders, a broad range of psycho-neuroses, and things of that nature. There we expose the person to an all-night communion with a sacred plant medicine. In the northern coast, specifically the Trichocereus Pachanoi or wauchuma—the Santerito cactus. Through that all-night ceremony, the experience of that psychological pain is reconfigured with the help of the maestro or maestro so that it becomes understood as in the hands of the experiencer so that it is named—it is citada. It is given a name. It’s identified for its purpose in their life, and then it is asked—with a deep understanding that one has the power to command it—to leave because it has overextended its visit as an uninvited guest. [It is] cast into the transformational field of the mesa that is in front of them. I’ll tell you, my good sister: As a Western-trained psychologist, I have seen cases brought to our mesadas that would ordinarily would be chronic lifetime challenges in our Western society—many times needing psychiatric hospitalization—be resolved in a matter of two or three all-night mesadas (or healing sessions) with the wauchuma. That’s what prompted me to—working with the Organization of American States and developing satellite programs, and mainstreaming folk healing into the national mental healthcare delivery system. [This was] because of how astounded I was with the cure rate. So, it’s a long-winded answer, but I hope this gives you a little idea where I’m at. TS: Yes, it’s very helpful. I want to just clarify one thing. When you’re talking about these all-night healing ceremonies, are these ayahuasca healing ceremonies? Is that what you’re referring to? dOMQ: Yes. Ayahuasca, in the rainforest area of Peru, is used, in many ways, in the exact same fashion that these San Pedro cactus—which is a mescaline-based cactus—is used on the northern coast. My formal apprenticeship was in the use of the wauchuma or San Pedro cactus. It’s still a vision plant. Yet, it has a different spirit in it than the ayahuasca. Yet, both of them are used very effectively to reverse intractable conditions that are presented to them. The wisdom of those two plants—they’re considered the mother and father vision plants of our people. The wisdom within them is far superior to the alkaloid—to the molecular structure. That’s what is the key in shamanic use of them—in calling forth their spirit, not their molecular medicinal properties. TS: I’m going to dig in a little deeper, if that’s OK. I notice every time you call me, you say, "My good sister," [and] I feel happy. So, can I call you "my good brother?" dOMQ: That’s who I am! TS: OK, my good brother. I’m going to dig in a little deeper, which is this whole question of the use of vision plants with challenging psychological situations—personal growth challenges. It’s very controversial. Here, where I live in Boulder, Colorado, there’s so much discussion about it really on both sides. I’ve been hearing a lot in favor and how important it is to bring this into the culture as a legitimate approach. But, I’ve also been hearing a lot of concern that it’s destabilizing for people. People can’t integrate the experiences. They’re not necessarily [under] proper care and people are exploring, basically, experiences that are beyond their ability to make good use of. So, I’m just curious to hear a little more about your view of that controversial issue, really. dOMQ: Certainly. Well, I would agree on both issues that you raise. First and foremost, applied outside of a traditional cultural context that includes being part of an Earth-honoring community and knowing that after your experience of communion and healing encounter with these plants that you’re not just going to go home to an isolated apartment in some high rise—but that you have a tribe, that you have a family, that you have a support system. [This] is not only temporarily brought together for that night, but is of long-lasting value in walking with more depth upon this Earth—with more beauty, with more grace. It’s fundamental. For instance, in the traditional use of these plants—and unfortunately, in my own country of Peru, what’s happening is a lot of people from Europe and the United States—from developed Western nations—are coming down, immersing themselves in ayahuasca experience for ten days or two weeks, and then expecting everything to change and then leaving. That’s the fault of the ayahuascero or ayahuascera themselves not properly evaluating the person and realizing whether they have the potential to become even more destabilized outside of the traditional context that it initially was sustaining [for] their visionary healing. And so, they just cast them out into this unknown territory to deal with it. The same happens with the random, arbitrary use of these medicines in your community and other parts of the United States that I’ve heard of. So, in a nutshell, without a sacred community of like-hearted others, it is dangerous. There’s no full integration of the realms of consciousness that one has accessed and opened up to. Also, there’s no lineage. People don’t have a tradition. They don’t have a cosmology. They don’t an understanding of the ancestral forces and powers that have been sustaining the apparition of the cactus or the ayahuasca vine upon the Earth. All of this needs to be taken in context for this to be a safe medicine to use outside of its geophysical, environmental, and social context. That said, I’ve also seen people who have been properly evaluated for their ability to be changed by an encounter with the sanctity of these plants, to benefit deeply. In my own sacred community of Pachakuti Mesa carriers, under very controlled—not "controlled"—properly managed settings—and knowing that the mindset of the participants has the spiritual maturity and soul development necessary to use this not just for a quick fix, but as a long-lasting initiation into a deeper and higher dimension of being—have used these means to accelerate evolution on an individual, community, and, I believe, on a planetary level. So, I’m open to using them—ideally within the original context and maiden ground where they are used. If not, with somebody that has many, many moons of experiencing in facilitating this type of transformation. TS: A couple of things that I want to make sure I talk with you about, my good brother, before our conversation ends: One is that when you were talking about the Pachakuti Mesa—the altar—you talked about how the altar connects us to the heavens. I know that there’s an aspect of your work that helps us connect to our "star origins." I wonder if you can speak more about that—our star origins as people. TS: Can’t help myself, my good brother! dOMQ: [Laughs.] OK. Well, we need a month to sit down and talk. dOMQ: Well, hopefully the Great Spirit will orchestrate that possibility soon. So, OK. Where do I start with this? It’s not new news that, throughout Paleolithic cave drawings and in all the great epics worldwide, there’s mention of our star relatives having been sources of great inspiration and symbolizing influence upon the originally seeded races of this planet. So, if you take that in consideration—that we’ve been looking to the stars for guidance since our first seeding on this planet—and as Werner Heisenberg says, "The path does not come into view until we observe it," the more we were looking to the stars, the more probable it is that the stars started to look back at us. So, therefore, the form of its looking back—depending on one’s culture-specific origins—took the form of Garuda, of Vimana, of a metallic UFO, of an ark, or whatever was most meaningful to the people and the culture of that time. Yet, ultimately, our contact with our star origins is really about contact with oneself. This is how we understand it in the more advanced level of initiation in kamasqa curanderismo. In the altomisayoq tradition, we have specific shamanic ceremonies that are intended for us to contact what we call our apu guia or estrella—or the anthropomorphized, human form of the venerated mountain that we are associated to through our initiation as an altomisayoq. In my case, it’s Apu Pachatusan—the Staff of the World, in Wasao. So, don Benito sent me [to fast], and it’s a long story. I mean, if you’re interested in the details, you can find it in my book Lessons in Courage. But, the thing is that you go to the mountain. You spend the night outside where snow meets the dry [for] three days, much like a visioning pilgrimage that you do in North America. You open up to being visited by the star-relative associated with that particular mountain. Then, upon returning down to the village, if the Contact—capital "C"—is authentic and estrella, a stone relative that seems like it’s been carved by human hands will pop out of the earth and show up. You are to take that. Through that, you journey with it into the star of origin. In the case of my apu guia, it was the Las Siete [Hermanas] and were known as the Pleiades, right? Over time in my journeys with this estrella—this stone relative gift that is the embodiment of the associated star to the mountain—I have been allowed entrance to some pretty formidable realms of our future as humans. This is not about contact with any advanced, superior cosmic civilization. It is about understanding that what we’re looking for is really ourselves. Any E.T. is really ourselves in the future. We’re just taking a little while to catch up to that fact. Beyond the E.T.’s, there are other, even more refined luminous expressions of our divinity. So, I hate to literalize the star relative piece by saying, "Yes, it’s contact with a spaceship." Sure. I’ve had that experience. Just like the Dalai Lama, when he was asked, "What do you think of E.T.’s?" He said, "They’re fine, thank you." Yet, it’s no big deal. It’s part of the great continuum of evolving sentience within Gaia and the universe. TS: Now, it’s interesting that—when you started talking about our star origins in the Pachakuti Mesa tradition—you talked about the "seeding" on the planet. Human beings were seeded, I presume, from other planets, other parts of the galaxy. That’s interesting to me. dOMQ: Well, yes. Once again, at the level of carbon-based, biological, two-legged organisms, there has definitely been influence of cosmic sources in making us who we are. In many cases—as I mentioned before—[they] have been depicted in Paleolithic cave art, temple sites, and written about in the epics such as the Mahabharata and even the Bhagavad Gita. In the epic of Gilgamesh, there are mentions of specific descriptions of encounters with these beings from the stars who had a profound influence on the humanization of otherwise non-self-reflexive creatures—prior to us becoming homo sapiens. That was needed at a particular level. Yet, ultimately, as I was trying to emphasize before, my own experience of contact—whether it was with a mother ship in Chilca—in the southern desert of Peru—or with scouts, or even with astral projections of the beings inside of these crafts that showed themselves to me and several other people—[they] have simply sparked me on to realizing that they are extensions of my most evolved presence. They are here just like after a good ceremony at a sacred pilgrimage destination, you see a condor or an eagle circling above. They are here just to validate that you are on the right track. When they were appearing in human communities and consciously influencing our genetic makeup—that’s what I was referring to as "star-seeded"—this was very long ago. Pre-written record, pre-epic, pre-cave paintings, pre-everything. In a time that just now we are starting to re-member ourselves through and rediscover. Would I say that they are causative and foundational for the reason [why] we are on this Earth? I wouldn’t say so. I would say that—like any bodhisattva—they were beholden to check back in and try to lift suffering wherever it was possible. When that suffering was generalized and threatening the entire life of a community, they may have intervened neuro-genetically as well as biologically, and mutated what was there in a way that was less threatening to life on the planet. It’s a deep subject, sister. So, I think I’ll leave it at that. TS: OK. Very good. Now, you referred to your book, Lessons in Courage. I’m curious to know what "courage" means to you. What’s the kind of courage we need on the Pachakuti Mesa path? dOMQ: Trusting the soul. Honoring spirit. Opening heart. Transforming mind. Healing body. T-H-O-T-H. Thoth. Those are the five chapters of the book. By "courage," I mean—those that will read or have read the book—being able to approach very traumatic, dysfunctional experiences in my own youth that I detail in that book as shamanic rites of passage [and] as initiations, and use them to strengthen one’s sense of enoughness rather than recoil in the experience of victimhood. To be volunteers rather than victims, to use that cliché. So, I believe it was Carl Jung, in his Memories, Dreams, and Reflections, that said something like, "In the end, the only events in my life worth telling are those when the imperishable world erupted into this transitory one." That’s exactly what Lessons in Courage is about. It’s a narrative as to when the ultimate ground of being—for some reason—decided to cascade through the veil that separates the seen and unseen [to] influence my life—and how much courage and heart it took to let that enormous reality into me, taking me to the verge of true madness. That’s the courage we’re speaking about. I’m sure you’ve experienced it when you went to Sri Lanka, my dear. TS: I know what you’re talking about—I think at least in part. Yes. I do. Now, one question about the audio series that you created with Sounds True—the teaching series Healing Light: An Apprenticeship in Peruvian Shamanism. In the series, as I mentioned, you give people very detailed instructions on how to set up an altar, consecrate, and work with the altar. 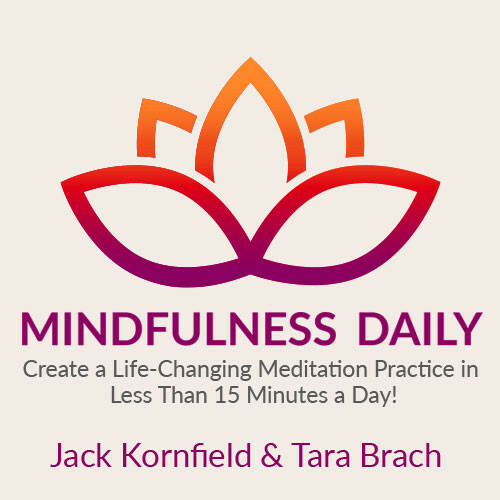 I’m curious how you feel about these teachings being distributed through an audio series. Some people might say, "Come on. Can you really teach people that way? Does it really work?" What’s your sense? dOMQ: This is not the first time I have been asked this question, as you can imagine, hermana linda. In Spanish that means "beautiful sister." So, yes. Well. I made a compacto—I took an oath of lineage transmission that was to be oral with don Celso. Yet, his main concern was that our own people in Peru were becoming jaded and disconnected from the healing wisdom of our ancestors—to the point that, after 500 years of Spanish conquest—even after that—it still had survived and needed to survive because it offered great evolutionary value for humankind as a whole. So, therefore, he was certain that if the people from developed nations would be exposed to these shamanic arts and practiced them with reverence in front of our own people—who considered them now superstitious and useless and the work of the devil—that they would have a totally new spin on the worth and value of these ancient ways. [They] would start to practice them and safeguard them themselves. Lo and behold, he was right. That’s one of the reasons he sanctioned me to bring these to the United States and, initially, to go ahead and transmit their practice orally. So, over many, many moons, I opened up my first healing curandero mesa at these graduate grand rounds of the psychology department at the state University of West Georgia, which was founded b Abraham Maslow in 1986. Since then, [I] have been teaching this. At the beginning, all my students were saying, "When are you going to write something? When are you going to write something? When are you going to record something?" It just wasn’t the time. It wasn’t the time until I realized that—aside from personal renewal that this practice provided—the power for planetary renewal had been untapped. So, I prayed over it and I was visited in dream time twice by don Celso with a big smile, saying, "It is time. Take it in whatever form you can out to the world." Through the blessings of many serendipitous encounters, I got a call from you good folks and I am so honored to be able to record Healing Light in your studios. [I expect that] this is going to be a major contribution to helping the uninitiated—or maybe those with just basic shamanic understanding—to take it to a whole other level in their practices as ritualists for healing service in the world. So, I’m very comfortable with don Celso’s approval in the spirit world after my prayers. So, all my students are now very happy. I’m even doing other virtual teachings. TS: Just two final things here, my good brother. The first is: I’m curious to know what you feel further about this time that we’re in, in terms of the name of your tradition—"Pachakuti," meaning "world reversal." What might [this] tell us about the time we’re in? What [does] the Pachakuti Mesa tradition [have] to say about this time? dOMQ: Well, "Pachakuti" is a term that has been erroneously associated with prophecy. We have prophecies in the Andes, and the current era that we’re in is called the Taripay Pacha, which is the Era of Reencounter. "Pachakuti" literally means in the Inca understanding of history a 500-year period. Inti refers to a thousand-year period. The entire history of pre-Inca and Inca civilization is categorized according to these chunks of time. Unlike the notion of the Yugas in Vedanta and in Hinduism, they are much shorter—down to human scale—than the millions of years—the cosmic years—involved in the dreaming within Indra’s web. Here’s where I’m at with this: "Pachakuti" means "world reversal, cosmic transformation." It doesn’t necessarily mean anything like the Kali Yuga, which is the era of breaking down, of chaos, of strife. The closest we have to that era is the [indecipherable] Yuga, which we’re toward the end of, according to our astronomical observations. Still, we have some time. [It’s] very much aligned with the Era of Aquarius, which is the Iron Age also. We’re moving into the Kuri Pacha, which is the golden age—much like the Satya Yuga. Yet, the most important [thing] to understand is that it’s just like the pause between the in-breath and the out-breath. As a planetary civilization or as a planetary culture, we have this opportunity to come together in the moments of these great turnings—in these moments of great transitions. As they say in our way, "Break bread together at the table of the pacha yachachiq—the world teacher—that is no one but one’s Self." So, there’s a Hassidic saying or rabbinical teaching that says, "If the world is ending and the Messiah arrives, first plant a tree and then see if the story is true." That’s what the Pachakuti Mesa lineage is about. These are things that are very interesting, yet not for any other reason than to galvanize love, beauty, and altruistic relationship among all creatures—including our two-leggeds. That’s what the Taripay Pacha is. That’s where the power of the Pachakuti or "world reversal and transformation" lies—in that pause, that liminal state that [is] between and betwixt in the eternal now where resides the power to make it happen. TS: Then I wonder, don Oscar, if we could end the same way we began—if you’d be willing to offer our listeners a blessing for their path. [Again], bringing awareness to our breath; tongue gently resting against upper palate; jaw/mandible relaxed and loose; closing eyes; allowing hands to rest upon knees or thighs with palms open to the heavens; inhaling fully with every breath; exhaling fully with every out-breath; feeling an awakening, activating, energizing of our higher center—our hanan uma, our crown; allowing the shaft of light from the hanaq pacha—the celestial, superior world—to descend from above. The shaft of light flowing into our crown, cascading throughout our physical vehicle—cleansing us, purifying us, aligning us. With these words of blessing, I offer my love to you, dear sister Tami, and to the beauty of your great work through Sounds True upon Pachamama. Thank you. TS: Thank you so much for your generosity and all of your goodness and service. Don Oscar Miro-Quesada, a beautiful teacher of the Pachakuti Mesa tradition of cross-cultural shamanism. With Sounds True, he’s created a new, six-session audio learning series called Healing Light: An Apprenticeship in Peruvian Shamanism. Thank you, my good brother. dOMQ: Blessings, blessings. Much love.